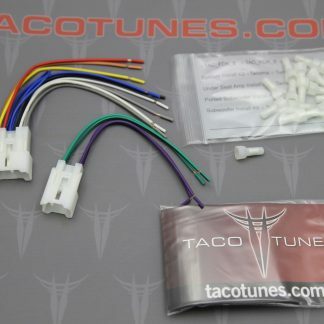 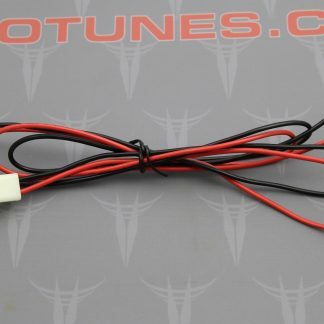 These Toyota Tacoma tweeter wire harness adapters will make installing your new aftermarket speakers / tweeters fast and easy! 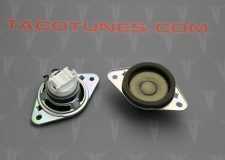 Toyota Tacoma’s from 2016-20xx have their stock tweeters located on the dashboard. 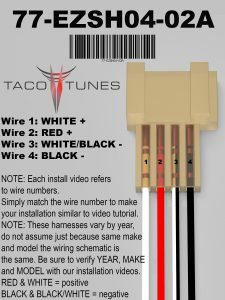 Each tweeter is wired in parallel to the front door speaker in your Toyota Tacoma. 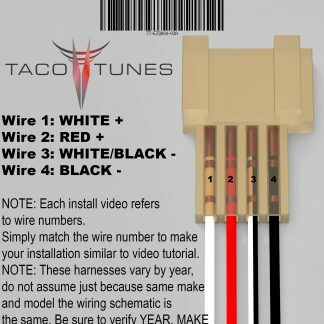 In short, this means when you remove your stock tweeter, the front door speaker stops working. 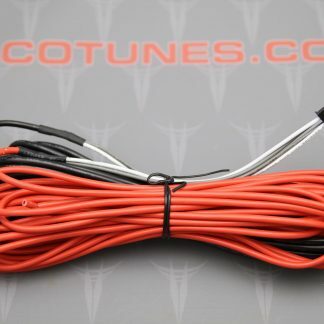 Without this harness you will need to cut or splice into your stock wiring and create an extension. 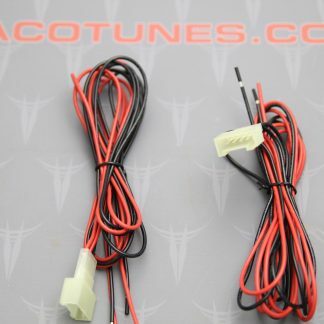 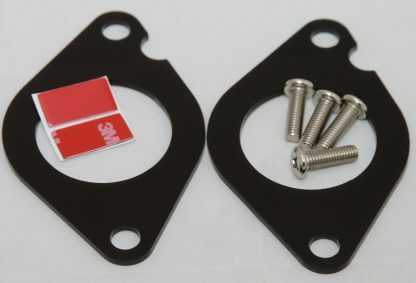 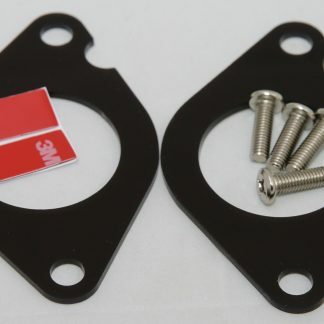 This harness plugs directly into the stock tweeter harness and provides a number of different options to upgrade your speakers and tweeters. We highly recommend the use of a component set of speakers. 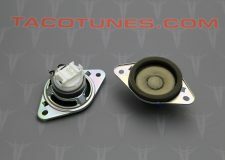 Be sure to check out our speaker bundles designed to work with your Toyota Tacoma. 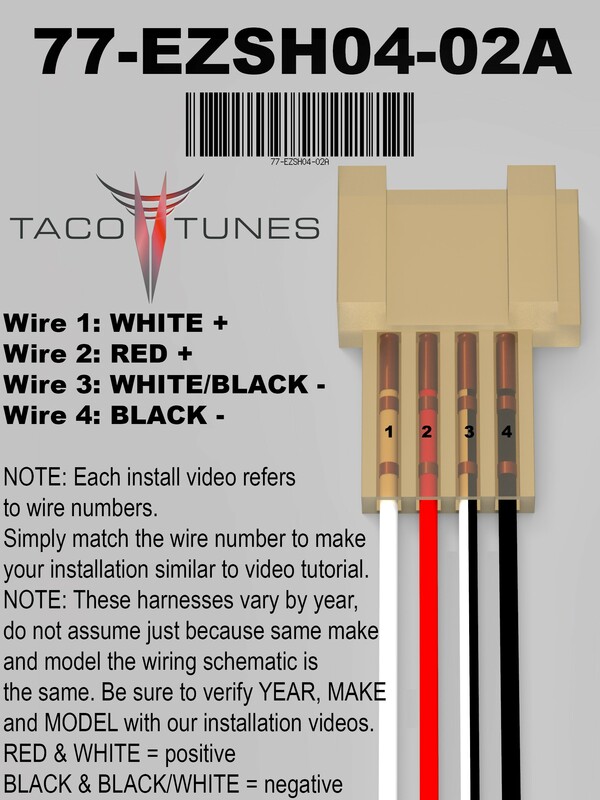 We offer a number of different options to fit any budget. 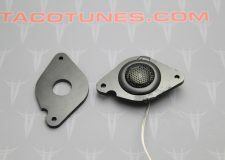 While you are here check out our many audio products for your Toyota Tacoma. 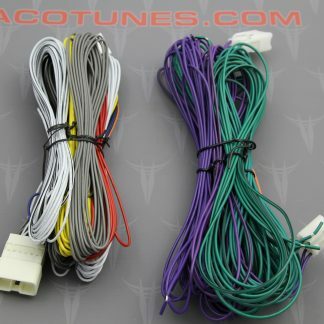 We designed these harnesses to work with our plug and play amplifiers that connect directly to your stock stereo. 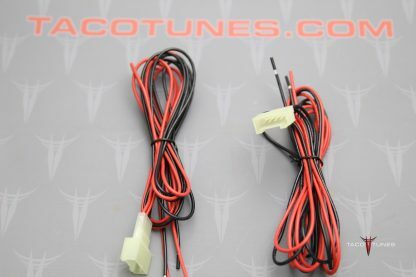 The amps will boost the signal coming from your stock head unit from 15 watts to 70 watts RMS. 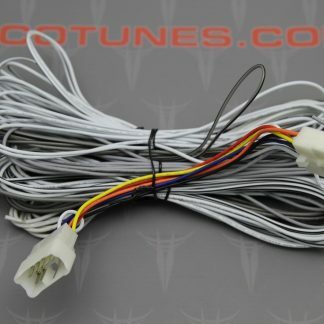 The leads (wires) are 36″ long and made with heavy 16 gauge wiring. Our plug and play amps will work with most after market head units (stereos) as well.